Bandera, Stepan [Бандера, Степан], b 1 January 1909 in Uhryniv Staryi, Kalush county, Galicia, d 15 October 1959 in Munich. Revolutionary, politician, and ideologue of the Ukrainian nationalist movement. Born into a clerical family, Bandera took an active part in community affairs, joining the Plast Ukrainian Youth Association while in high school. 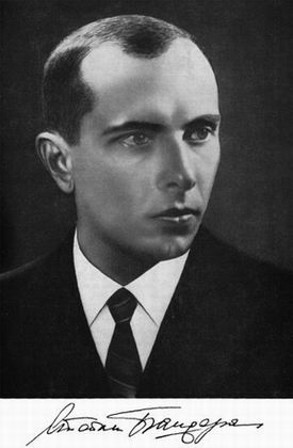 As an agronomy student at the Lviv Polytechnic, Bandera became a member of the Ukrainian Military Organization in 1927 and of the Organization of Ukrainian Nationalists (OUN) in 1929, in which he soon attained positions of authority. In 1931 he became chief of propaganda in the OUN national executive, in 1932–3 he was second-in-command, and in June 1933 he became head of the national executive in Galicia. During his tenure Bandera expanded the OUN's network in Western Ukraine, directing its struggle against both Poland and the Soviet Union (in 1933 Mykola Lemyk assassinated an official of the Soviet consulate in Lviv). Putting a stop to expropriations, Bandera turned the OUN's militancy against the Polish officials who were directly responsible for anti-Ukrainian policies. He also devoted attention to organizing mass campaigns against Polish tobacco and liquor monopolies and against the denationalization of Ukrainian youth. Arrested in June 1934, Bandera was tried twice: at the Warsaw trial concerning the assassination of the minister of internal affairs, Bronisław Pieracki, and at the Lviv trial of the OUN national executive. Bandera's death sentence was commuted to life imprisonment. Released from prison after the fall of Poland in 1939, Bandera soon moved to the Generalgouvernement, where, after a falling out with the head of the OUN leadership, Andrii Melnyk, he headed an opposing faction. In 1940–1 the faction developed into a separate organization (popularly known as the Banderites). On the eve of the German-Soviet war Bandera initiated the formation of the Ukrainian National Committee (Cracow) in order to consolidate Ukrainian political forces. He cultivated German military circles favorable to Ukrainian independence, initiated the formation of a Ukrainian military legion (see Legion of Ukrainian Nationalists), organized OUN expeditionary groups, and prepared the 30 June 1941 Proclamation of Ukrainian statehood in Lviv. 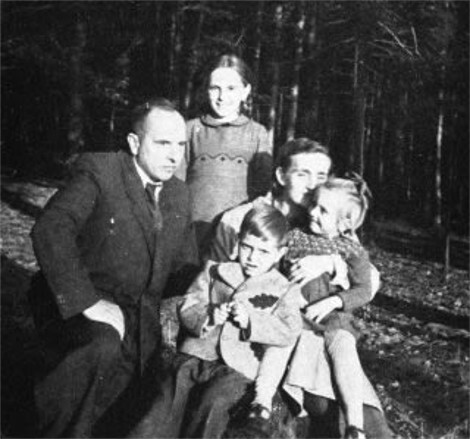 For his refusal to rescind the decree, Bandera was arrested and spent the period from July 1941 to September 1944 in German prisons and concentration camps. Elected a member of the OUN leadership in 1945 and head in 1947, Bandera held consistently to the principles of integral nationalism. In May 1953 he was elected leader of the sections of the OUN abroad. Following unsuccessful attempts in February 1954 to reconcile a dissenting faction, which later constituted itself as the OUN Abroad, Bandera remained the leader until his death. He was killed by the Soviet agent B. Stashynsky. 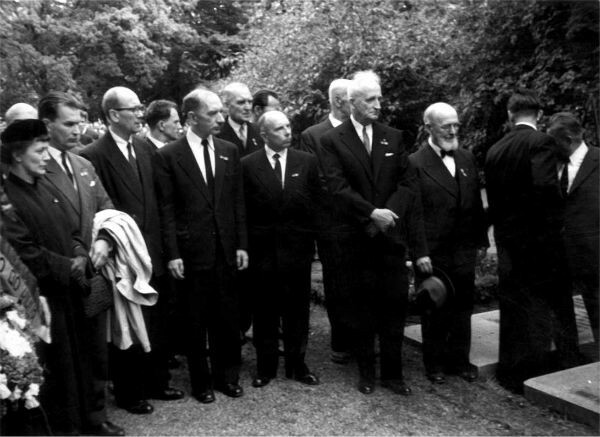 At Stashynsky's trial in the Federal Republic of Germany (8–19 October 1962), it was established that the assassination had been directed personally by the head of the KGB, A. Shelepin. In the memory of his followers Bandera became a symbol of the revolutionary struggle for a Ukrainian state. His legacy has grown substantially since Ukrainian independence, particularly in Western Ukraine. In Lviv a major thoroughfare was renamed in his honour and a large monument to him is being planned. In 1990, a Bandera memorial museum was established in Volia Zaderevatska (Stryi raion), where the Bandera family had lived in the 1930s. 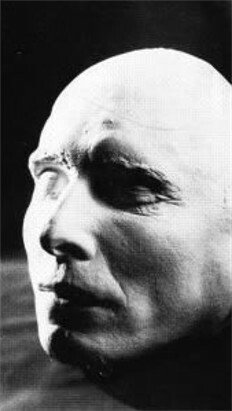 The film Atentat (Assassin), focusing on Bandera’s struggles, was made by Oles Yanchuk in 1995.